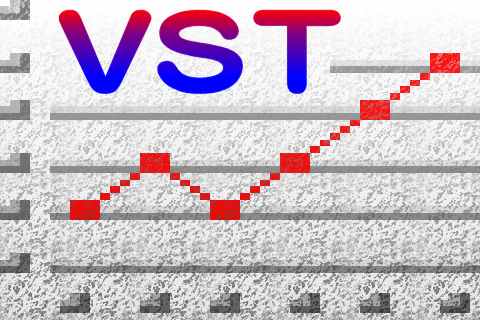 The data for this case study were collected by Said Jahanmir of the NIST Ceramics Division in 1996 in connection with a NIST/industry ceramics consortium for strength optimization of ceramic strength. The response variable is a measure of the strength of the ceramic material. The goals of this case study is to determine if the nuisance factors (lab and batch) have an effect on the ceramic strength (y). > ## Save variables as factors. 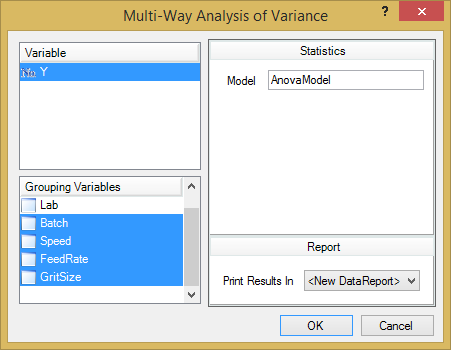 > ## Fit the model and print the anova table. FeedRate      1   11524   11524   2.898 0.08933 . GritSize      1   14380   14380   3.616 0.05782 . > ## Print effect estimates. FeedRate1      9.800      5.756   1.702  0.08933 . GritSize1    -10.947      5.756  -1.902  0.05782 .